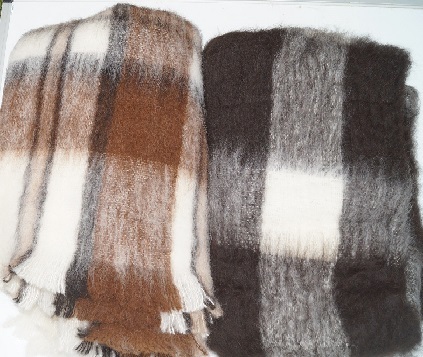 Here is a new Alpaca product to enhance your bedroom or living area as it can be used as a blanket or a throw. These blankets/throws are manufactured in New Zealand from stunning and luxuriously silken brush woven Alpaca fibre for that extra soft feel. They measure 125 cm x 180 cm and are edged with a fringe.